There’s a very good chance that your soil did not come directly from the underlying rock. 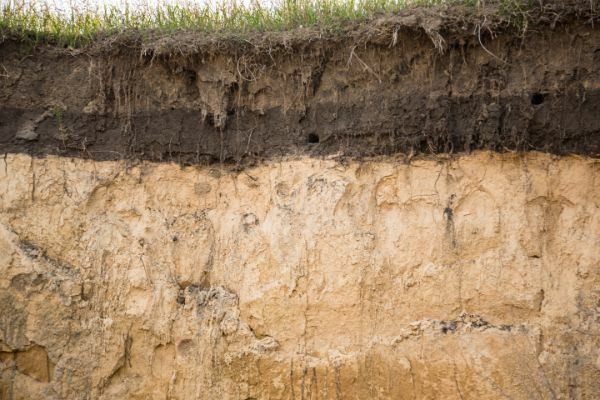 Often, the parent materials or even the soil itself has been blown in by wind or brought in by glaciers, volcanoes or historic waterways, but the soil formed somewhere as virgin soil. “Virgin” soils don’t have organic matter. Lichens — organisms made up of a symbiotic partnership between algae and fungi — are often first to arrive on the scene along with pioneering nitrogen-fixing plants like alder, broom and black locust. Nitrogen is needed for plants to grow. Alder, broom and black locust don’t actually fix nitrogen themselves, but they partner with bacteria that do. These bacteria take nitrogen out of the air and convert it into a biologically usable form. The plants can then grow bigger and this is the start of making organic matter. Other plants will eventually come in when the soil is ready and the nitrogen-fixers will gradually be phased out. This all takes time. 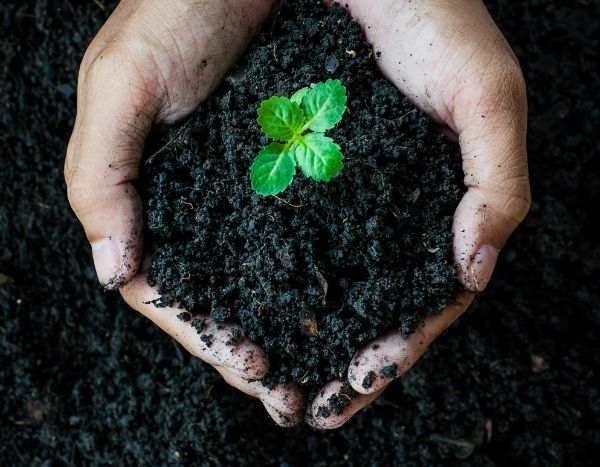 Our soils are often in poor shape, and while we should definitely bring in some compost, I also like to take a cue from nature and plant some nitrogen-fixing plants. Actually, in a new ornamental garden on poor soil, I often use a lot of nitrogen-fixing plants — at least 25% of my total. I use clover and vetch as a groundcover, beans and peas in my vegetable garden, goumi, birch and many others in perennial plantings. Another implication is that we can learn a lot about our soil by looking at the plants that are naturally growing in it. If we’re getting a lot of clover, we may have a deficiency of organic matter and nitrogen in the soil. If we’re getting a lot of dandelions, we have a calcium deficiency or imbalance. We can actually learn to make some fertility decisions if we study weeds. During the soil formation process, the quartz in the parent rock becomes sand and silt. Most sand and silt are composed of this quartz, which is silicon dioxide. The clay, on the other hand, is formed when oxides of silicon and aluminum come together into a molecule and then many of these molecules join together. Sometimes it’s silicon and iron. The other minerals in the parent rock just float around as minerals. Some are leached and some attach to the clay. 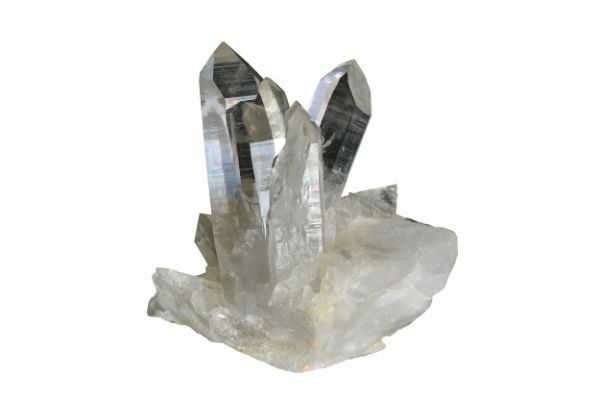 Pure quartz forms a crystalline structure which is resistant to weathering. The quartz in sand and silt commonly contains many other minerals as well, depending on location, which is why it doesn’t look like a transparent crystal. So sand and silt are both mostly quartz rock made small, whereas clay is formed from a chemical reaction between certain minerals. The significance of this difference is next. There are three sizes of soil particles. From biggest to smallest, they are sand, silt and clay. Sand is gritty and it doesn’t stick together. You’ve seen it on its own on the beach or in a sandbox. Silt is smaller and more powdery but is still separate grains. Clay particles are much, much smaller and they join together to form a sticky substance kind of like play dough. So soil texture, a bit of a misleading term, is actually a specific way of describing the relative particle sizes in your soil. It refers to the percentages of sand, silt and clay that are present. Note that even if you have a clay soil or sandy soil, you probably have all three soil particles to some degree. The quickest way to learn what kind of soil texture you might have is to take 1/3 cup of loose soil, remove any debris, and slightly moisten it uniformly throughout the sample. Then roll it into a ball. If you have a hard time doing this or if it breaks easily under pressure, the predominant soil is sand. It will also feel a bit gritty. The more it stays together, the more silt or clay you have. Try to roll it out into a cylinder. The longer the cylinder you get, the less sand you have. It can be tricky to differentiate between silt and clay, but silt is smoother with more individual grains and clay is stickier with no discernible grains. Clay can also stain the hands. There is another test to determine texture that I prefer called a sedimentation test, but it is a little more involved. Take a clear one-quart jar with a lid and fairly straight sides — a major curve at the bottom of the jar will distort the results. Go to your garden and dig down 6-8 inches, taking enough soil to fill the jar about 1/3 full. Soil texture can change significantly through deeper levels of the soil. Be sure to take it from the depth where most of your plant roots will be. Be careful to remove any large stones, gravel and organic matter, since this test is only meant to determine the mineral particle size of the soil. Next, add a few tablespoons of liquid dish detergent, which helps separate the soil aggregates, and fill the jar up with water to one inch below the top rim. Cover and shake it for a minimum of 10 minutes. Set it down where it won’t be disturbed, being careful not to slosh it sideways as you set it down. When you come back, after at least 24 hours, you should end up with a sand layer on the bottom, then a silt layer, then clay, and perhaps a bit of dark organic matter. The sand will have settled out right away and the silt within an hour, but the clay takes longer. It’s usually fairly easy to see the three distinct layers. Measure the height of each layer and divide by the total height to determine your percentage of sand, silt and clay. To be accurate, there is actually one more step. Your results are in volume, but the soil texture triangle uses weight for units. To fix this, multiply the percentage of sand by 1.19, the percentage of silt by 0.87 and the percentage of clay by 0.94. If you have 70% sand, 20% silt and 10% clay soil, you have a sandy loam. If you have 50% sand, 20% silt and 30% clay soil, you have a clay loam. There is no need to remember these percentages, since some time ago a smart person put together a little chart that makes it easy to figure out. It’s called the soil texture triangle. When you’ve done your sedimentation test and know your percentages, you can use this triangle to determine your soil texture. 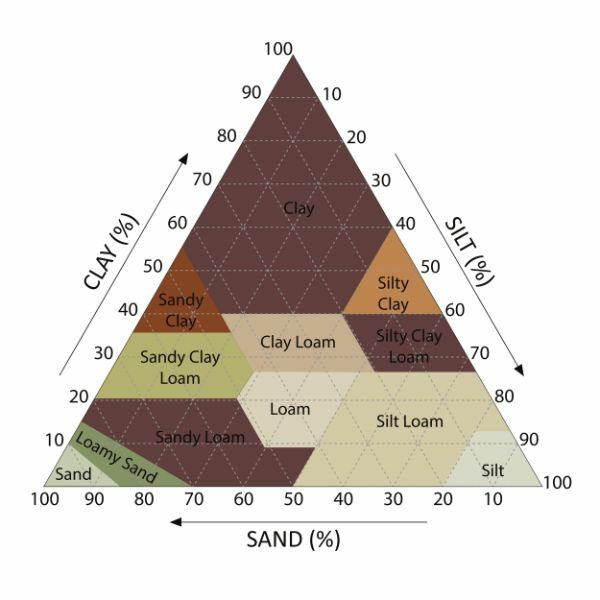 Follow your clay, sand and silt percentages into the triangle, where all three intersect. This is your soil texture type. You may want to do this test in a few places around your garden and average out the results. Knowing our soil’s texture influences a lot of our soil management decisions, which we will see as we continue on. While soil texture refers to the percentage of sand, silt and clay in your soil and is ultimately summarized with words such as sandy loam or silty clay, soil structure looks at how these individual soil granules clump together into various shapes and sizes and what that means for factors such as water and air movement, compaction, biological activity and root growth. This soil aggregation is performed mostly by microbes, plants and small animals. Bacteria excrete gluey carbohydrates that allow them to cling to soil, and help soil particles stick to each other. Fungi send a latticework of mycelia throughout the soil, binding particles together. Certain fungi create a sticky protein called glomalin that excels at binding soil together. All of these microbes need the nutrients to be in balance in order to make a nice soil structure, along with water and organic matter. 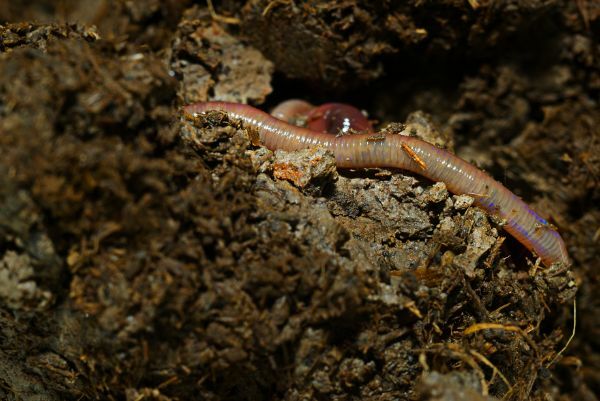 Even worms aggregate soil by constantly eating and excreting soil particles. As do other critters that live in the soil. Organic matter is broken down into humus, which bonds electrically with clay to form aggregates, called the clay-humus complex. Earthworms play an important role in forming soil structure, partly because their guts are home to millions of valuable soil bacteria. In a perfect world, your soil would be approximately 45% mineral soil, 5% organic matter, 25% air and 25% water. So that’s 50% solid and 50% pore spaces. It rarely works out exactly like this, but that’s kind of a loose goal. The big pore spaces hold more air and the small pore spaces hold more water. This provides just enough water and air for the plant roots, microbes and insects — not too much and not too little. Some gardeners even strive for higher organic matter content in relation to soil, but you don’t want to add too much, too quickly. The reason small pore spaces hold water is that water molecules stick to each other through cohesion, and to solid surfaces through adhesion. A small space has just enough solid surfaces in close proximity for a water drop to stick. When water goes into a big space, it just keeps going through, so air ultimately ends up occupying that space. If your soil is dominated by sand, the resulting structure will likely allow for excellent water infiltration and drainage. Infiltration is how water enters the soil from above, while drainage is how it leaves the soil due to gravity. In a sandy soil, the water will more easily get into the soil and even get down deep into the soil, but not that much of it will stay around. This is because the relatively large size of the sand grains creates many big pore spaces for air, but not as many small spaces for water. While the water-holding capacity of a sandy soil isn’t great, there is a lot of air and not a lot of compaction in a sandier soil, like at the beach. That has its benefits, which is why sand is used so much as the base for golf course greens. Golf greens get a lot of foot and machine traffic, so the sand helps resist compaction. Roots and microbes can breathe and extend their reach quite far in sandy soil. Deep-rooted grasses thrive in sandy soils. At the other extreme, if your soil is dominated by clay, the resulting structure will likely result in less than ideal infiltration and drainage. Water will puddle on the surface and won’t go down as deep and it will not drain as well because there are so many small pore spaces near the top of the soil to hold it. Of course, that means it holds onto more water and needs to be irrigated less often. The water-holding capacity is excellent, but some of the water is held so tightly that plants and microbes can’t get it. Also, with fewer big pore spaces, there’s less air in the soil and less resistance to compaction. Silt falls somewhere in the middle. Water infiltrates and drains better in silt than clay and this texture has an even better water-holding capacity because more of the water is actually available and accessible to plants. There are also more big pore spaces for air in the soil. What about organic matter? It turns out that it does everything right in terms of soil structure. It infiltrates brilliantly and drains freely, but not before holding onto a tremendous amount of water. It still allows for plenty of air in the soil, but it resists compaction. Also, it plays a huge part in actually binding your sand, silt and clay into the aggregates that give the soil structure. So the amount of sand, silt, and clay in your soil is your soil texture. 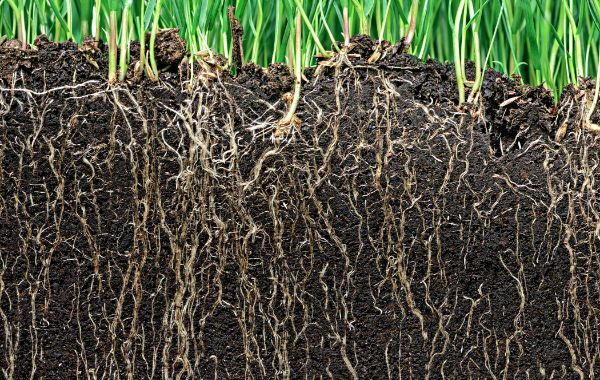 Soil texture along with organic matter, the soil food web and the nutritional makeup of the soil influences your soil structure, which is how it all clumps together. And then this determines how much water will infiltrate, drain and stay around, and how much air will be in there. It also determines the potential fertility of the soil. The inherent fertility of your soil is dictated by the rock from which it originated. If we look at a rock like limestone, it’s going to be mostly calcium with a bit of magnesium and not much of anything else — certainly not a well-balanced soil. On the other hand, many of our soils were brought to us from the movement of the glaciers in the last ice age and so we may have a soil from a mix of parent materials, which is consequently more balanced. 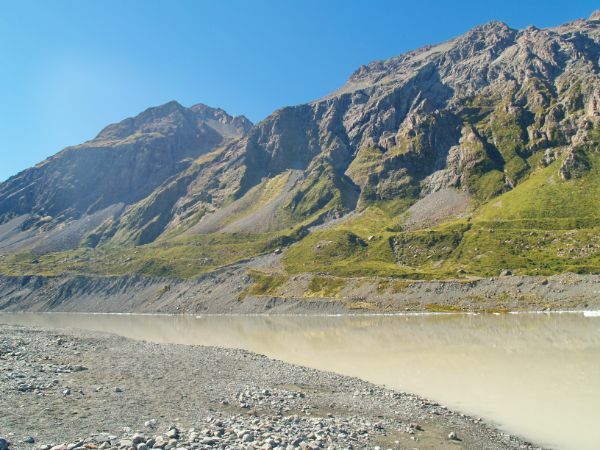 Glacial till may have been deposited directly by glaciers, or moved by rivers, erosion etc. One of the reasons we want to know about our soil texture is because sand, silt and clay bring different fertility potentials. Sand and silt come from the same parent materials, and so have basically the same implications for soil fertility. While there are many different parent materials, the most common is quartz. Quartz is mostly silicon dioxide. 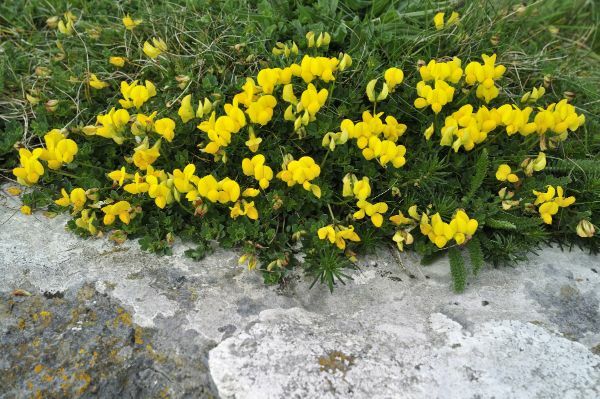 It generally has a limited amount of minerals in its composition that will become available to plants, and it can’t hold onto other nutrients in the soil. Soils that are high in sand and silt, therefore, are inherently less fertile than soils high in clay, not taking into account organic matter. Farmers know they’ll get lower yields on sandy soil because of this lower fertility, which is one reason why adding organic matter is so important, as we’ll see. While sand and silt are the same other than their particle size, clay is totally different. Clay is made of many different elements, and the outside of most clay particles are covered in negative charges because of how the minerals, mainly silicon and aluminum, are chemically bound together. 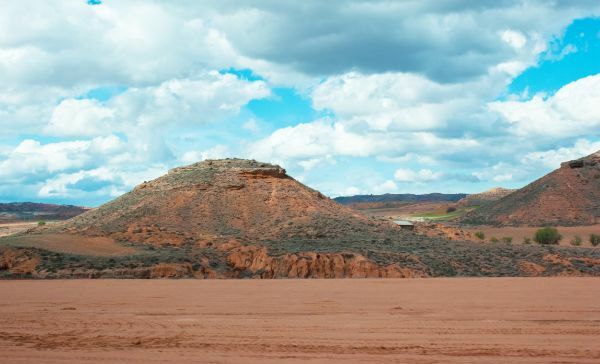 Many other minerals in the soil such as calcium, magnesium and potassium are positively charged, so they attach to the negatively charged clay, but not to the sand and silt. The clay also attaches to organic matter molecules in the soil. The fact that clay has these negative charges is one reason why having some clay in your soil is truly a wonderful thing. A positively charged mineral in the soil is called a cation, pronounced “cat-eye-on” with the emphasis on the cat. Years ago when I read about cations from a book for the first time, I spent a year walking around praising cations (as if it rhymed with passions), before I figured out how it was supposed to be pronounced. 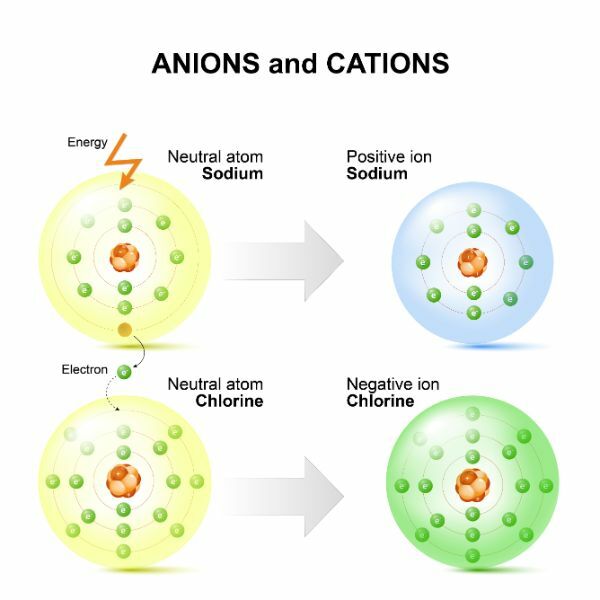 Anions (negatively charged molecules) and cations. The cation exchange capacity of the soil basically refers to the ability of the soil to hold onto these positively charged nutrients like calcium, magnesium and potassium so they don’t leach out. Since a majority of minerals in the soil are cations, this is important. The use of the word “exchange” actually advances the definition a little bit because it refers to the ability of the soil to attract, hold and release these nutrients. The people who name things put that in there to show that it’s an ever-changing, dynamic process, which is important to note. Nutrients are always getting bumped off the soil molecule. Some are taken up by plants, some are leached further down, and some attach somewhere else. I guess if the soil held onto the minerals, the plants would get rather grumpy. In fact, while hydrogen isn’t considered a plant nutrient, microbes and plant roots use hydrogen cations to trade for other cations sitting on a cation exchange site. Roots do this by excreting carbon dioxide, which combines with water to form carbonic acid and hydrogen. Some of the hydrogen knocks other cations off the exchange sites, which the plant can then take up. Brilliant. I prefer just to think of CEC as how good my soil is at retaining positively charged nutrients. Note that CEC doesn’t tell me how many nutrients I have, just how good it is at retaining and exchanging what is there. More on that soon. As we discussed in the last section, the sand and silt don’t help at all with CEC because they don’t have a charge. It’s all about the clay, and specifically what kind of clay you have. Some clays are better at holding onto cations than other clays. Gardeners have no way of knowing what kind of clay you have other than researching the local soil reports or asking local soil labs, but a soil test tells our CEC — an important number. Pure clay can have a CEC anywhere between 0 and 150, with most non-tropical clays, such as those in North America and Europe, falling in the 25-100 range. Red ultisols like this one contain highly aged clays with low CEC, often found in the southeastern United States as well as regions of Africa, Asia and South America. Interestingly, humus, which is organic matter broken down into its most stable form, has a CEC of 100-300. That’s great news because we can therefore immensely improve the ability of our soil to hold onto cations by building up the humus in our soil, which will be beneficial to almost all soils — but most notably for low-clay soils. By the way, if you’re a math or science buff, you might like to know that the unit of measurement for CEC is milliequivalents per 100 grams of soil (mEq/100g), but it’s not really important for our purposes. While the CEC is one of our main indicators of fertility potential, there are minerals in the soil that aren’t cations. Most notably, phosphorus, sulfur and some forms of nitrogen are often in the soil as negatively charged minerals called anions (pronounced “ann-eye-on” with the emphasis on the “ann”). Anions are not held on sand, silt or clay, but they are held by organic matter. Not only does humus have a spectacular CEC, but it holds onto anions, too. More good news. Organic matter not only holds onto cations and anions, but it’s full of minerals that will eventually become available when the organic matter decomposes. Leaves, grass, animals, trees — it’s all organic matter that will eventually be broken down. And let’s not forget the microbes. They consume minerals, too, which become available when they die. All of these, the cation exchange sites, the anion exchange sites, the organic matter, and the microbes, contribute to the soil’s overall nutrient-holding capacity. It can be seen that while clay is the only rock-derived soil particle that can hold onto cations, organic matter can hold onto cations and anions, and is actually composed partially of minerals itself. Organic matter is already looking pretty important and we’re only talking about fertility. That being said, some clay is very helpful because it actually helps keep organic matter in the soil and stops it from leaching. So we are happy with some clay. While it may be easier to grow root crops in sandy soil, clay is not the garden disaster that home gardeners sometimes take it for. Soil pH is talked about a lot in the gardening world, but most people don’t understand it and the number garnered from a pH test is generally misused. After this short section, you’ll know how to use pH data better than most garden experts. Now, pH can get very technical, but I’m going to stick to what is relevant to us in the garden, yet try not to oversimplify too much for the scientists out there. For our purposes, pH is basically a measurement comparing how many positively charged hydrogen ions we have in our soil versus the other cations — calcium, magnesium, potassium, sodium and aluminum. The more hydrogen ions we have, the lower our pH is and the more acidic it is. The more of the other cations we have, the higher our pH is and the more alkaline it is. The scale goes from 0 to 14, with 7 being neutral, but most soils are between 4 and 9. At 4, all cation exchange sites are occupied by hydrogen, so there’s not much in the way of nutrition for plants. At just under pH 7, all cation exchange sites have cations other than hydrogen, which doesn’t necessarily mean the soil is highly fertile because we still don’t know which cations are there. In theory, it could be all magnesium, which would not be a very balanced soil. Also, what if you’re gardening on a soil with 98% sand and silt, both of which have no CEC? In this example, even if all of your clay and organic matter exchange sites are occupied by cations, your soil is probably very low in cations because you don’t have many exchange sites. A pH below 4 involves additional organic acids and above 7 or 8 involves additional carbonates. Usually, the pH is somewhere in between, which means we have some hydrogen and some of the other cations. Most nutrients, particularly the most essential nutrients, are most readily available to plants somewhere in the 6-7 pH range, gradually decreasing as the pH gets further up or down the scale. Some micronutrients become more available outside this range, especially in low pH soil, potentially to toxic quantities. So it’s not that the acidity of a 4.5 pH soil is harmful to the soil, it’s that most nutrients aren’t as available to plants, and a few may be too available. Further, many microbes can’t live at an extreme pH, so the soil food web will be lacking. So we can see it’s best to have a pH somewhere in the middle. Actually, between 6 and 7 is generally considered ideal, which may be true, but this is where a mistake is often made. Let’s say we take a soil sample and determine the pH is 5.5. We will be told to add lime to raise the pH of our 5.5 soil. This is usually dolomite lime. The reason we are told to do this is that, as discussed earlier, cations can knock each other off exchange sites. All things being equal, the hydrogen ion is the most attracted to a cation exchange site. If we look at the major cations in decreasing order of their affinity for cation exchange sites — that is, how strongly attracted they are to the cation exchange sites — it goes hydrogen (H+), calcium (Ca2+), magnesium (Mg2+), potassium (K+) and sodium (Na+). There are many other micronutrients in the full list, but these are the major ones. Back to our example of adding dolomite lime to raise pH. Dolomite is calcium carbonate and magnesium carbonate. The calcium and magnesium in the lime will knock some of the hydrogen off the cation exchange sites. Some of that hydrogen will combine with the carbonate, and some of it will go elsewhere. That will give us less hydrogen and more cations, therefore raising the pH. This may happen in the short term, and even in the long term if done annually for a number of years, although the soil will tend to move back towards its starting pH. Still, it works for now. The need to “lime” the soil to raise pH is often taken as a given by conventional growers. So the problem is not that dolomite lime won’t raise the pH, but that our pH test did not tell us if we actually needed calcium and magnesium. Perhaps we already have too much magnesium or too much calcium. It’s almost certain that we don’t need both in the ratio that dolomite lime gives us. On the other hand, some high pH soils are due mostly to sodium and potassium, and they actually still need calcium and perhaps magnesium. We wouldn’t know that if we just used the pH number as our basis for liming. Adding more of the wrong nutrient is just going to make things worse, as we’ll see later. It is the pH that gives us a clue that we may have a nutritional and microbial imbalance in our soil, but this gives us no information as to why that may be so. As such, it’s of very little use to us. If we do regular pH testing over a number of years, making sure we always take our soil sample from the same place, at the same time of day and year, in the same conditions, the one thing it can help tell us is if our soil management practices are working, since pH will move towards neutral when we balance the nutrients in our soil and increase the organic matter content. Besides, plants seem to grow well in soils of various pH levels given plenty of organic matter. It’s not that pH isn’t important to plants and microbes. For the most part, we’re happy to have it be between 6 and 7 to have the healthiest plants. Remember, hydrogen is used in cation exchange and for mining certain minerals from the soil, so a slightly acidic pH is ideal. It can be difficult for plants to get phosphorus out of an alkaline soil. Plants that are considered “acid-loving” may just need certain trace minerals in abundance, and those trace minerals are more available in acidic soil. Rhododendrons, for example, are often thought of as acid-loving. In reality, they love magnesium, which is sometimes more available at a low pH, and they aren’t particularly fond of calcium. They’ll grow just fine in a high pH soil if they have sufficient magnesium. Other acid-loving plants may just need a fungal-dominated soil. Fungi decrease soil pH, so it may be that these plants don’t care at all about the pH, and they just want their fungi. Trying to make your soil acidic by applying peat moss or chemicals doesn’t give the plants the nutrients they need or the biology they need. What we need to do is focus on all of the soil management practices we will be looking at, such as creating high-quality compost and using things like rock dust and seaweed in order to give the plants the chelated minerals they need. When all of these factors are brought in line, the pH will follow. Even if we have a perfect pH, we don’t actually know which nutrients we have and how available they are to plants. This is where soil testing comes in, which is coming up in a future lesson. We have seen that while organic matter makes up a relatively small part of the soil, it is critical. It’s kind of like how you can make bread without yeast, but it won’t work very well. You just need that teaspoon of yeast in there. Organic matter is as important in the soil as yeast is to bread. You just need perhaps 3% to get you started. Organic matter is anything that is living or was once alive. When looking at the soil, we’re mostly referring to fallen leaves or needles and twigs, dead and live plant roots, and dead and live microbes. All of these can be fresh and whole, or in the process of being broken down, or already broken down into its most stable form — humus. Compost is organic matter, too. We’ve seen that organic matter takes center stage when it comes to water-holding capacity and drainage, promotion of air in the soil and resistance to compaction, holding onto cations and anions, and providing fertility because it is made of nutrients and other substances. It’s said to be a particularly important source of nitrogen, phosphorus and sulfur, but has many micronutrients, too. Not only is it a source of nitrogen, but nitrogen-fixing bacteria actually need it for energy so they can do their job. Organic matter is the source of many compounds in the soil, such as certain phenolic acids and auxins. These enhance plant growth and help protect plants from predators. More high-quality organic matter in the soil generally means more beneficial organisms and fewer nonbeneficial organisms. Humus is organic matter that has been broken down so much by microbes that it resists being broken down any further. The microbes will work away at it if there is no other food available, but they’d prefer something else. By the time organic matter has been transformed into humus, many of the elements have already been released. Humus gives organic soils their rich, black color and contributes to a porous soil structure. In the soil, humic acids are important chelators, which means they combine minerals into organic compounds that are more available to plants. They also tie up toxins, making them less available to plants. Humic acids will already be present in good soils with a lot of organic matter. Otherwise, they’ll be lacking and it will be beneficial to bring them in as a supplement (called humates), while also focusing on increasing the organic matter content of the soil. 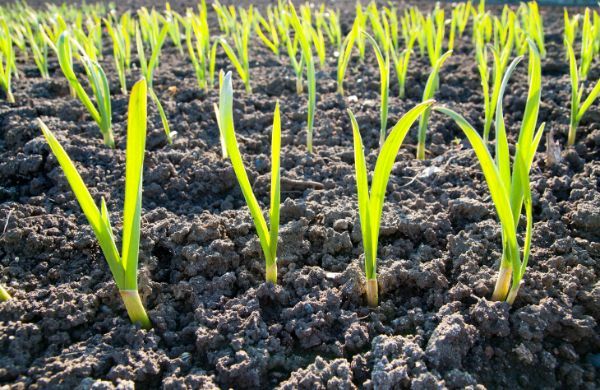 Humic acids greatly improve the soil, increase plant root growth and metabolism, enhance seed germination, and help plants deal with environmental stresses. 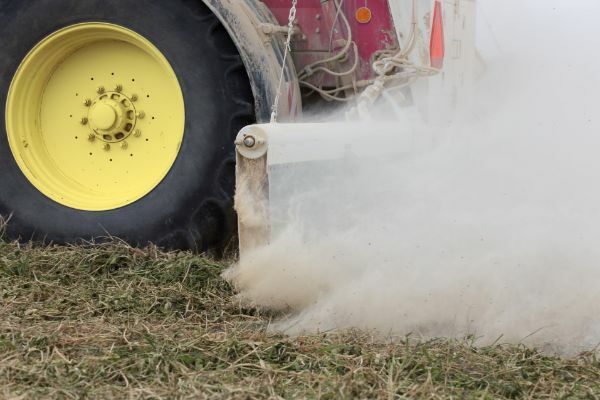 They remove odors in slurry and compost piles and keep irrigation lines clean. We also use humates in liquid applications of organic fertilizers onto plant leaves, because they help the plant take up and utilize the nutrients in the solution many times more effectively. Soil texture is simply the proportion of sand, silt and clay in the soil, while soil structure is what results when the soil is manipulated by microbes, plants and animals. The soil texture, structure and organic matter content give us clues as to the soil’s ability to infiltrate, drain and hold water and provide sufficient air, as well as to the soil’s inherent fertility, CEC and nutrient-holding capacity. This is all important, but we still don’t know the quantity and balance of nutrients in the soil, how available these nutrients are, or the quality and quantity of the soil food web, which is why we need to do some detective work — coming up next time.